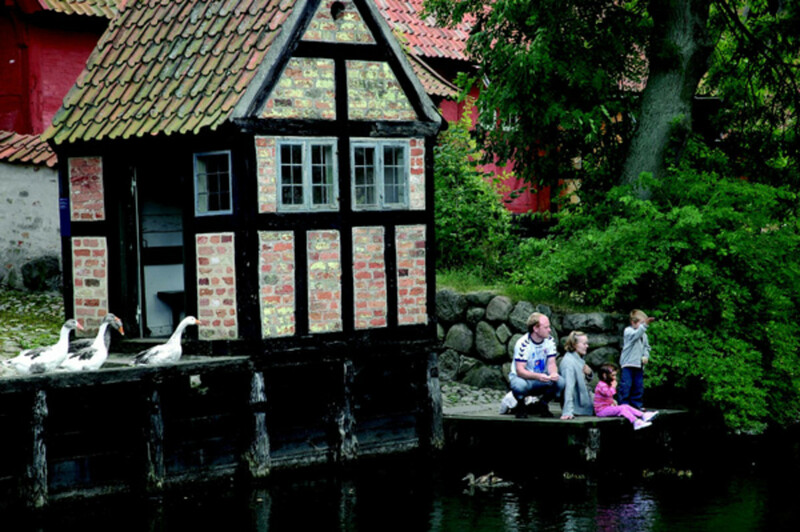 Eversince I started learning and reading about Denmark I have been extremetly fascinated by everything the country has to offer from it's beautiful parks, beaches, fods, people, language and of course the places and events that make Denmrk one of the best and unique countries to visit. I defently want to visit Denmark during the winter season because it's much more beautiful and magical during the christmas season. 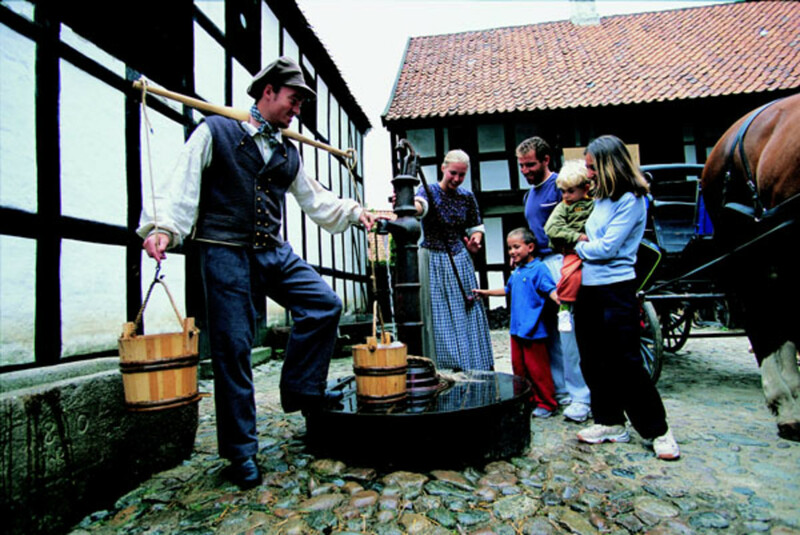 Here are the top ten places to visit if you want to isit Denmark on your next vaction trip. I found all of these places to be really interesting. 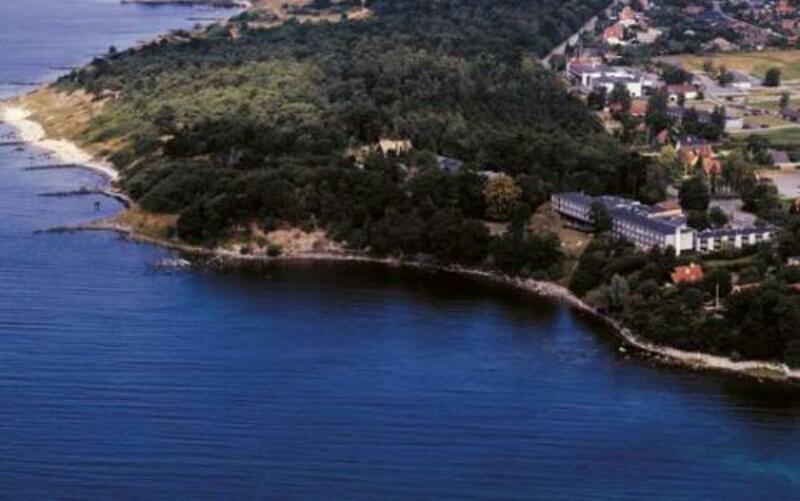 Now i wish I could go to Denmark, so bad, now! 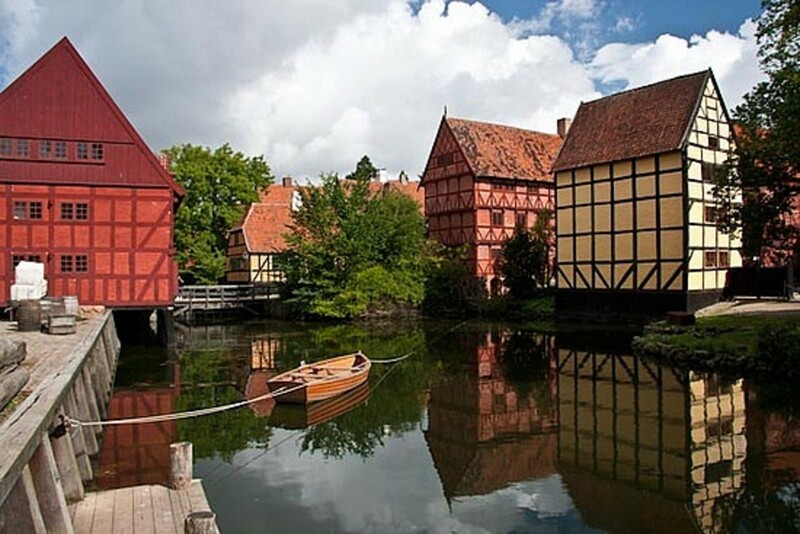 Here are the top ten places you should go see if your next trip is Denmark. The Kronborg castle has been and stll is one of the top places to visit. This famous castle was shakespeare's inspiration for "Elsinore" in his famous play Hamlet and is still widely visited by millions of tourists each year. Fact: In Danish the castle's name is Kronborg Slot. 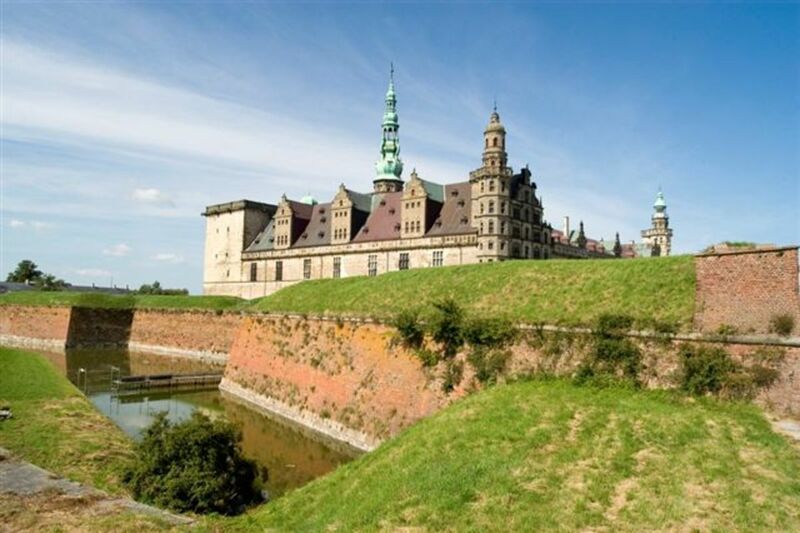 Tourists can find Kronborg castle at the northernmost tip of the Danish island of Zealand. 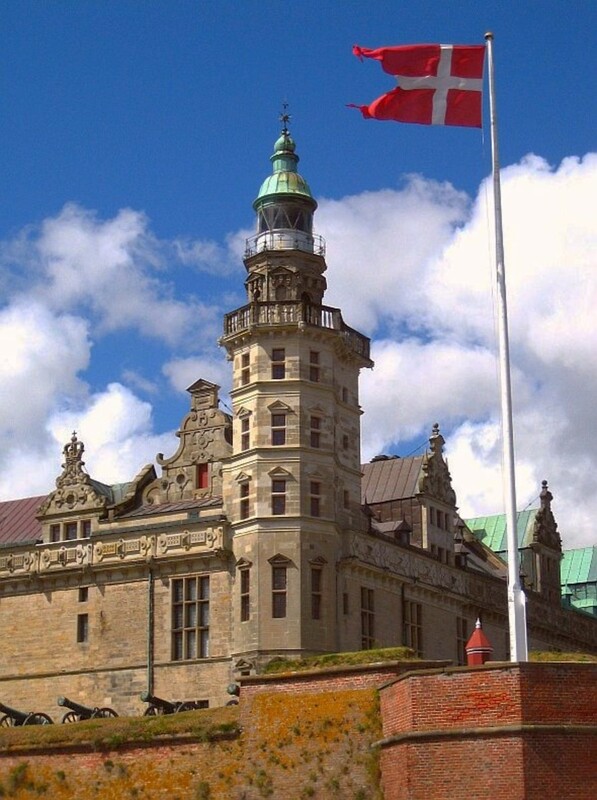 This castle is also included in Hamlet castle Tour from Copenhagen and the North Zealand Castle Tour. 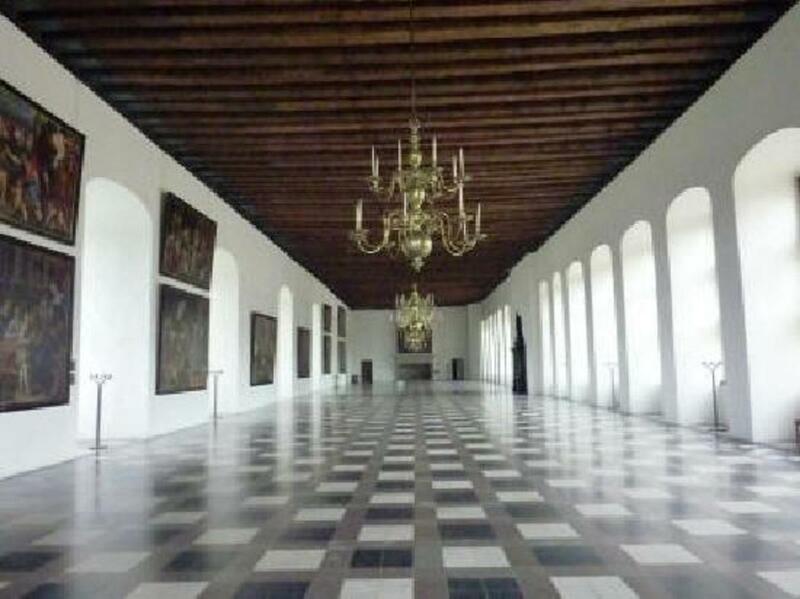 How Kronborg castle looks from the inside. This is defently one that you cannot miss. 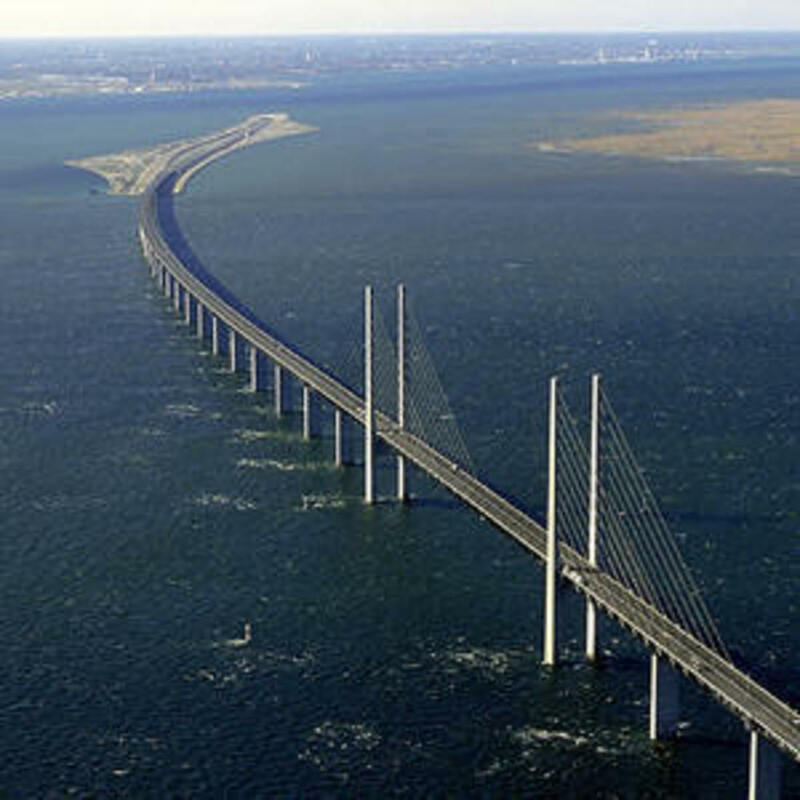 This scenic 10-mile bridge connects to Sweden and Denmark, carrying over 6,000 travelers by car or train everyday. The toll for driving across the Oresund bridge is paid at the toll station on the Swedish side. 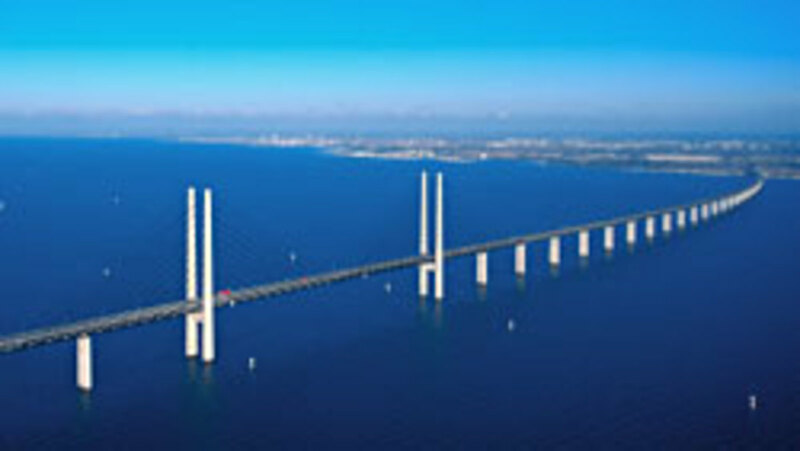 Fun Fact about the Oresund Bridge: You might be wondering "When was the Oresund Bridge first built?" 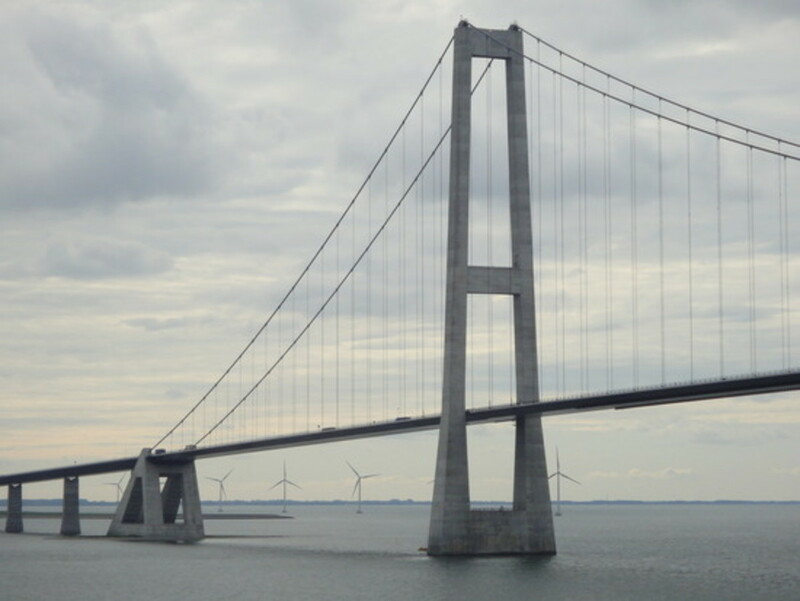 Well in 1991, the governments of both Denmark and Sweden made the decision of biulding this huge project and it took many years to construct the bridge until finnally it was open on July 1, 2000. 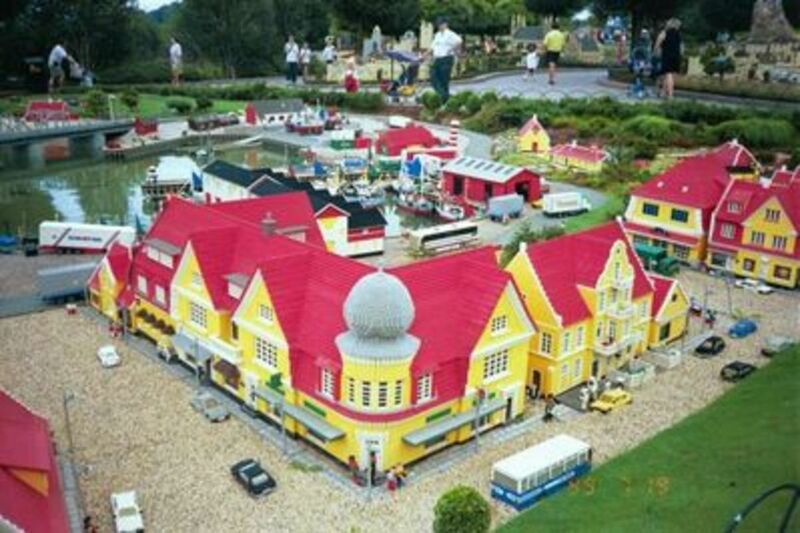 I never knew before that there is a Legoland in Denmark, now I do! It is made pretty much everything is made out of blocks. I know there is one in San Diego, California also. 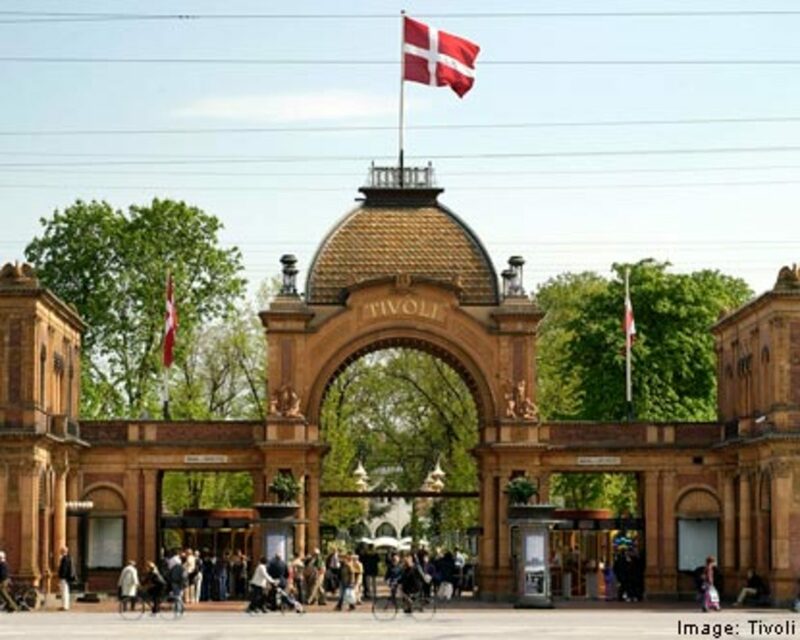 But the one in Denmark is by the far the oldest, the park was first opened in 1968 and since then it still delights more Denamrk visitors each year. 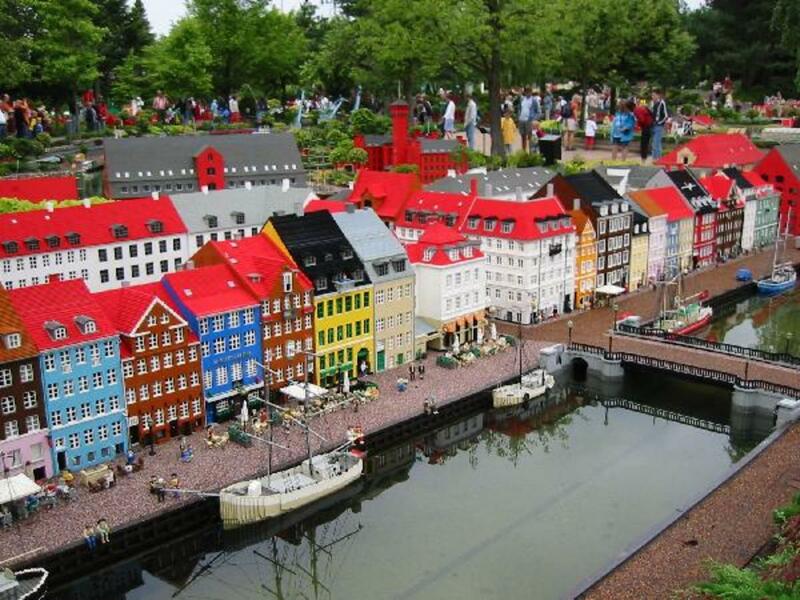 The park offers countless attractions and fun rides for all ages both young and old, along with it's indoor activities, exhibitons, and new thrill rides Denmark's Legoland is one of the best places you sure won't want to miss. 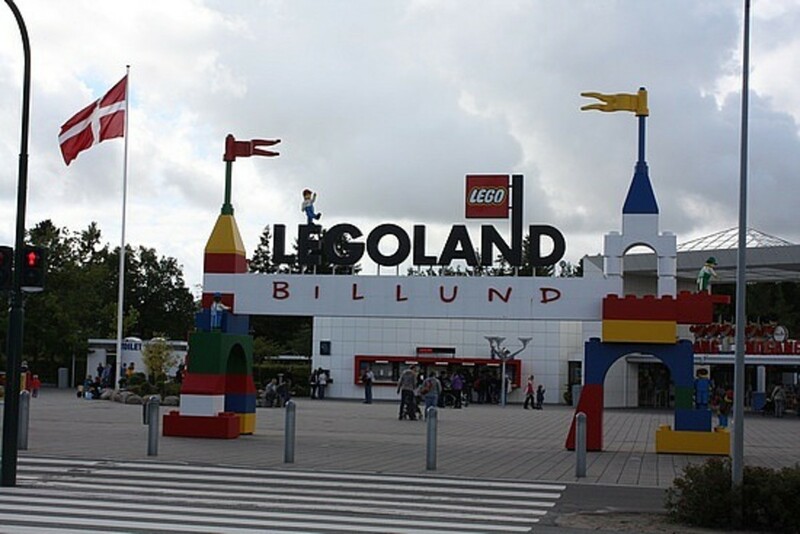 the entrance to the Billund Legoland theme park. 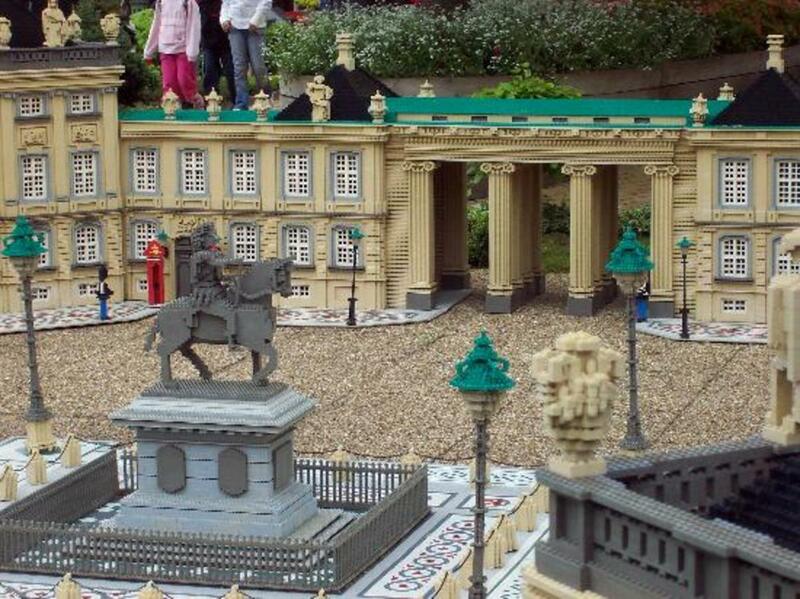 The statue of liberty in legoland Denmark. 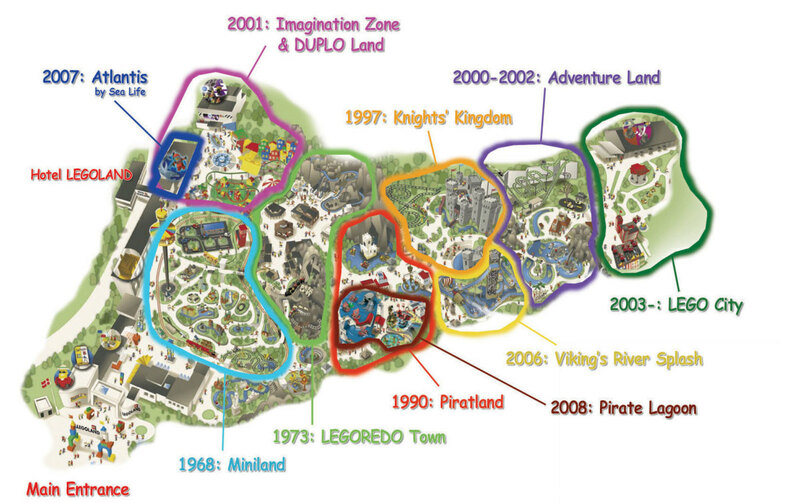 A map of the theme park, Legoland in Billund, Denmark. 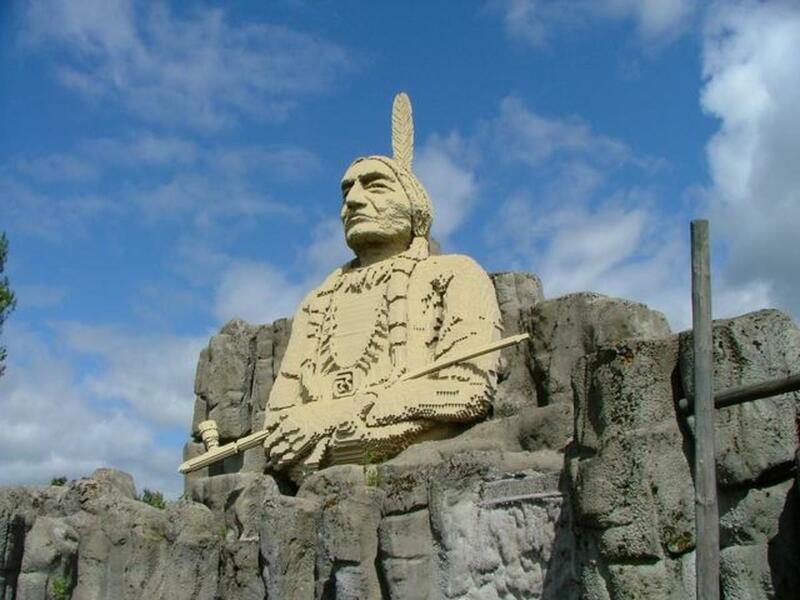 It shows the different places the park has and when each place was built. 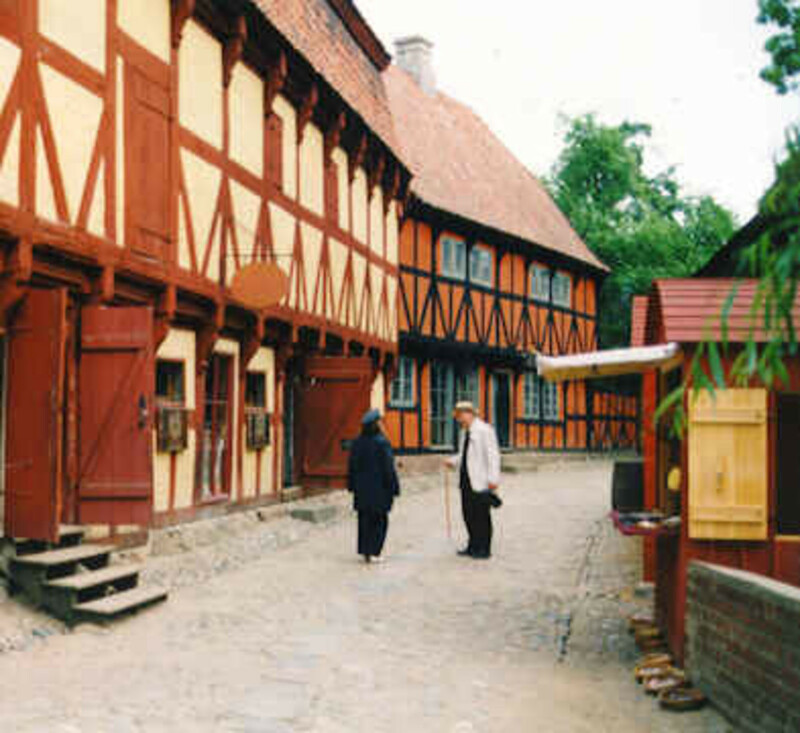 The city of Arhus, Denamrk has a really old city that's full of history. 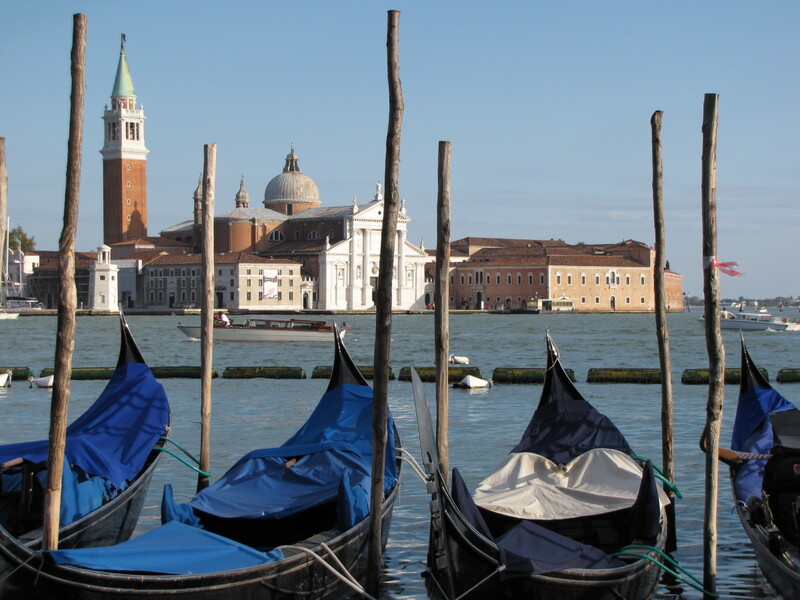 If you are not far from this city then don't hesitate to visit this historic city. This city is full of rich beautiful houses, little shops, and food and drink on offer, and many other interesting things to look at. Travelers get 50% off Old Town admission from January until March, and the best part is that children under 18 enter free. 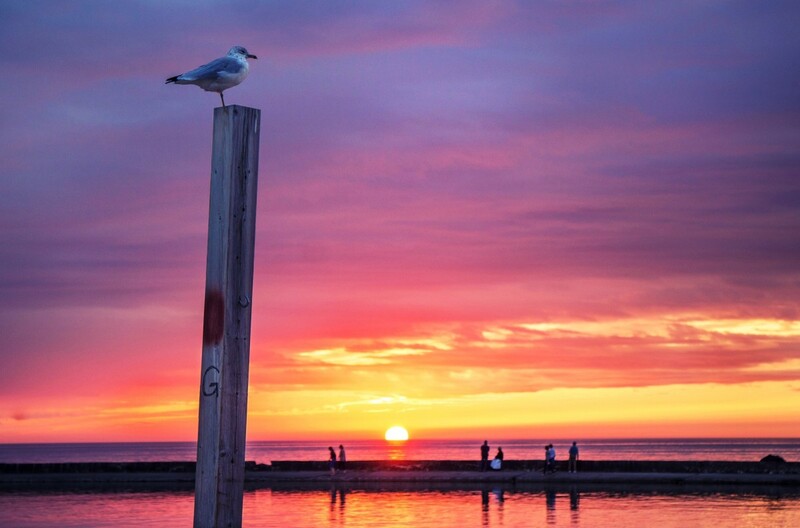 Bronholm is a Danish island in the Baltic Sea, it is east of Denamrk and south Sweden, it's nickname is "Pearl of the Baltic" there are beautiful beaches, bicycle paths, and architecture from the 1800's. 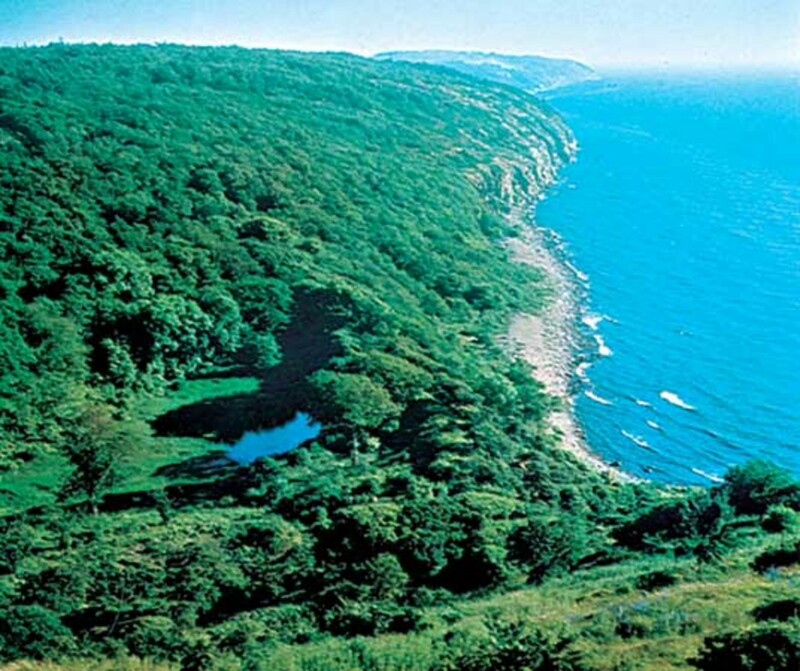 You don't neccesarily need a car to get to Bornholm- buses, bicycles, and Danish taxis are everywhere. 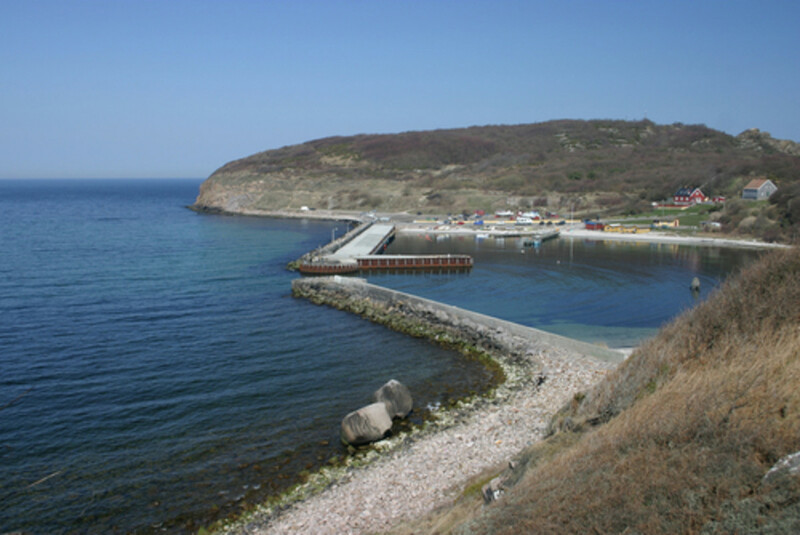 The easiest way to get to Bornholm, fly to Ronne-Bornholm Airport or check out the ferry connections. 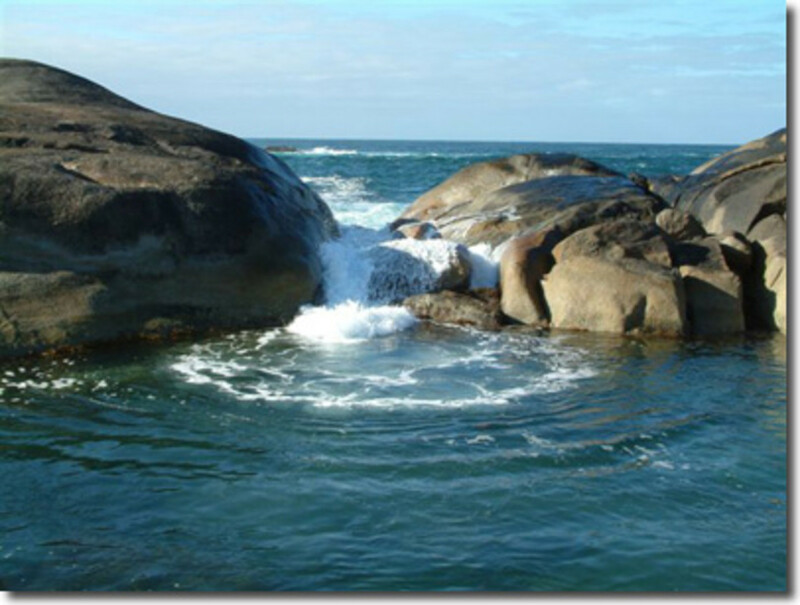 The Bornholm island in Denmark. Doesn't matter on what time of year or season you visit Denmark, it diesn't mean you should miss a trip to the nearest beach (even if it's not one of the best beaches in Denamrk) During the warm summer months of July and August, it's warm enough to go swimming. 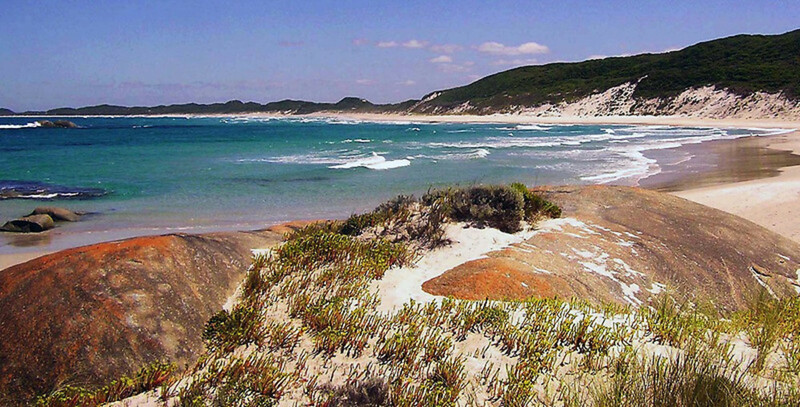 With it's coastline of Denmark, it's sand dunes and greenery is a sight that seems to change always. 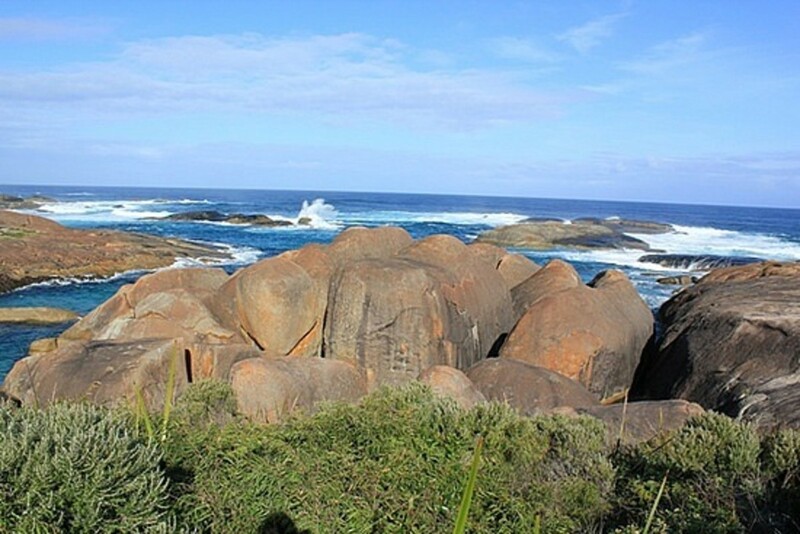 It is also recommendedthat you bring your camera and watch for WWII bunkers and lighthouses. 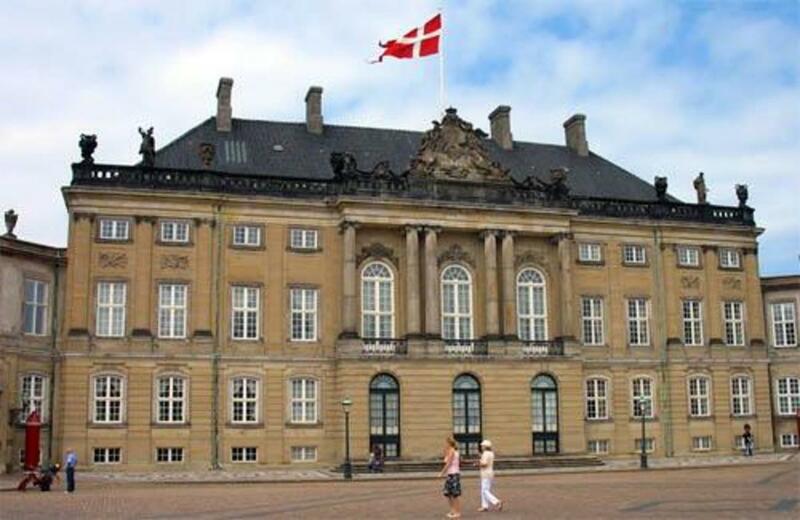 Amelieborg Castle in Copenhagen is the winter residence of Denmark's royalty. 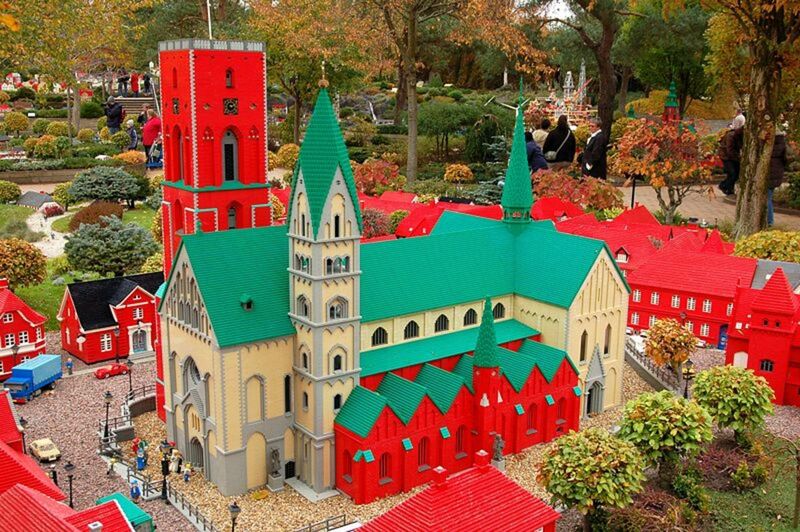 As well as a popular attraction in Denmark. Amelieborg castle combines four externally uniformed palaces and a courtyard. Travelers can witness the changing of the guards daily and or enter two Amalienborg's palaces. 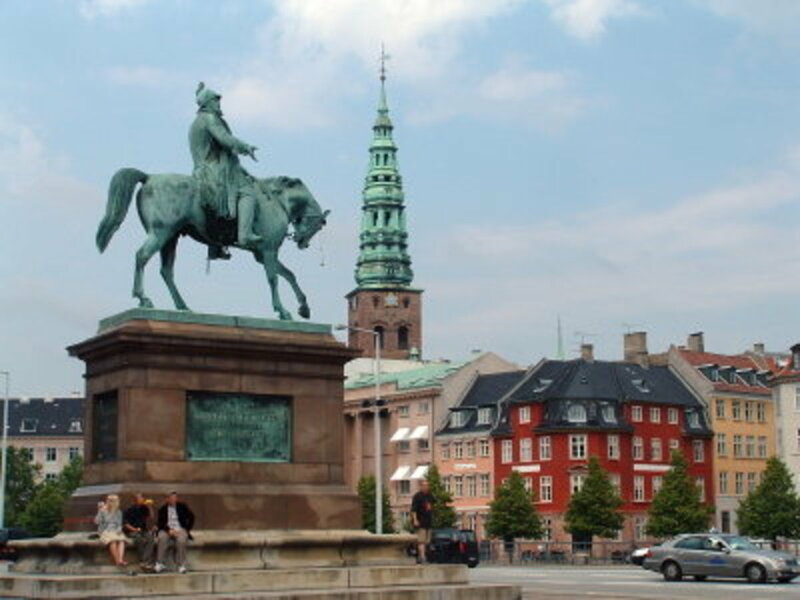 A visit here is also part of the Copenhagen Grand Tour. 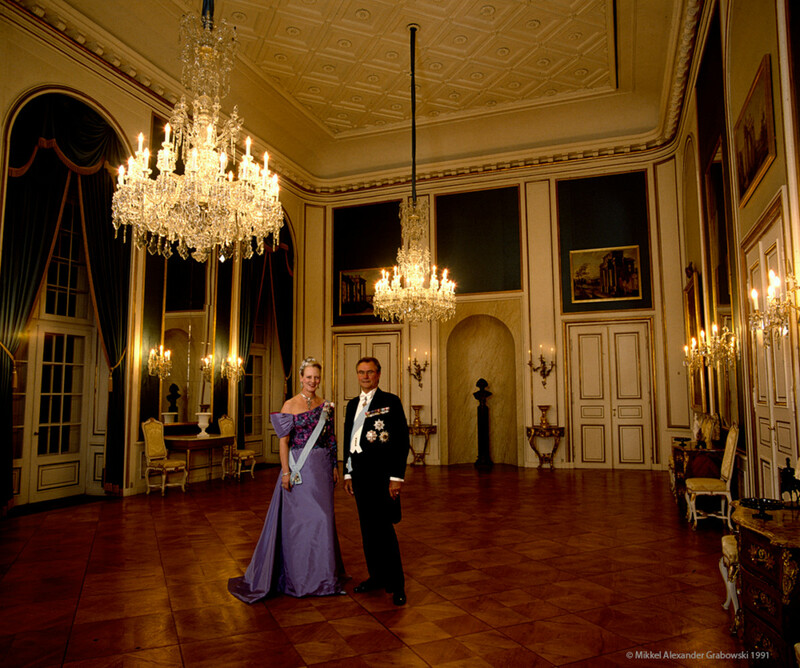 Queen Margrethe II and Prince Henrik of Denmark at the Amalienborg castle the home of the royal family. I love this attraction although it's one of the smallest it's still one of the best and most unique and amazing. Every time I see a picture of the little Mermaid it almost makes me think of a Denmark full of magic and wonder on every place that you go. The Little Mermaid is just 4 feet tall! that's not too big! 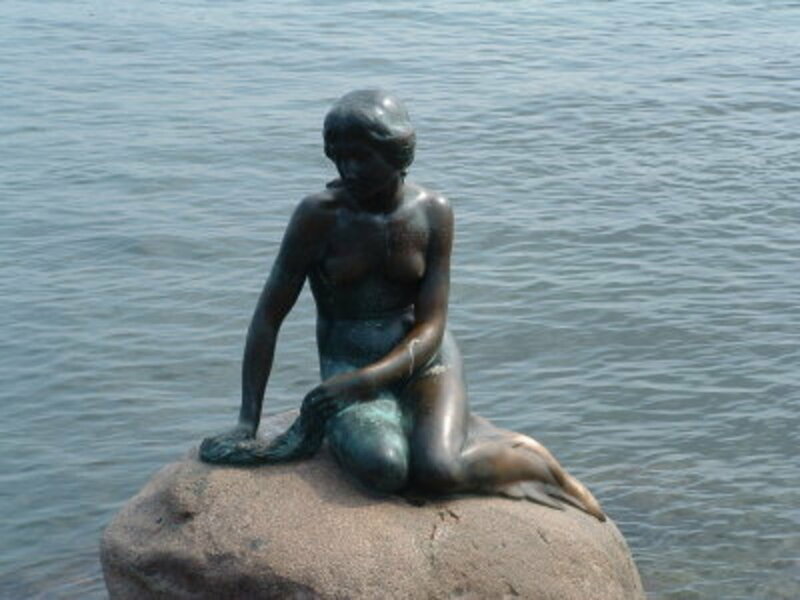 She sits close to the shore of the cruise harbor "Langelinie" on her granite resting place, in the harbor are Nyhavn. 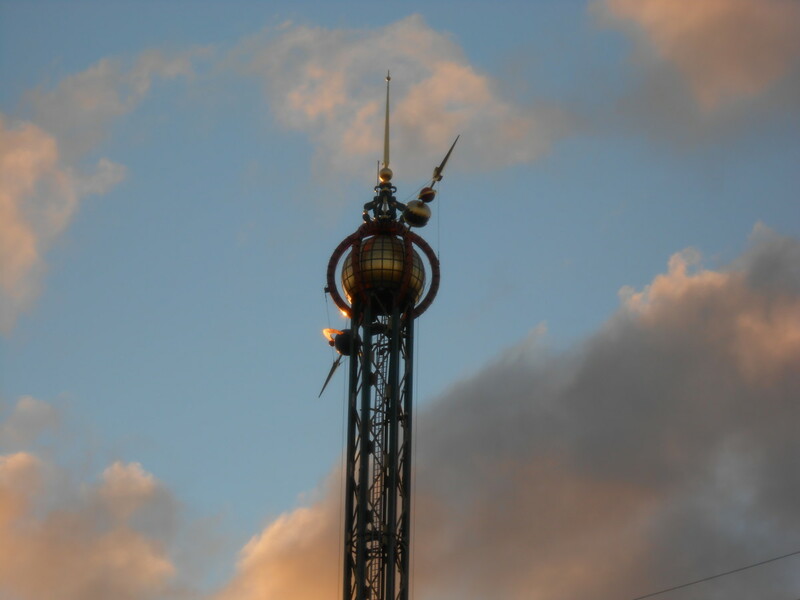 It is a short walk from the main cruise pier, nearby many of Copenhagen's other major attractions and locations. The Little Mermaid of Denmark. 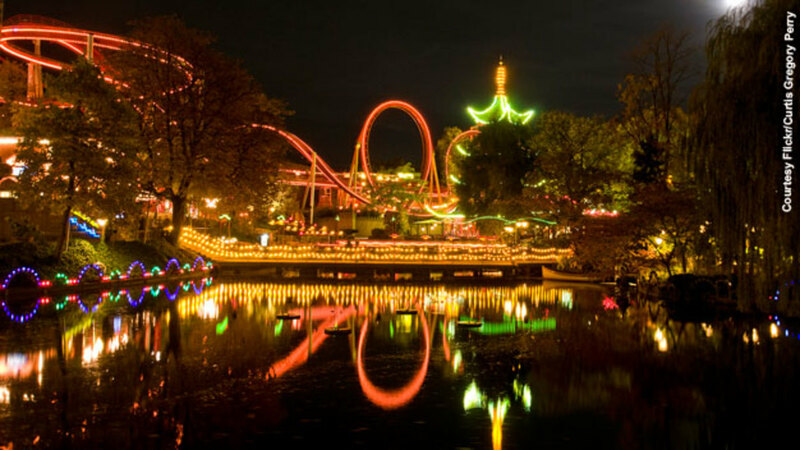 Another attraction that sure looks amazing and that you won't want to miss for sure especially if you're traveling with your family, the Tivoli should be at the top of your list of places to see. This park has serene park areas and activities for the little ones to rides for the thrill seeking teens and adults in the family. 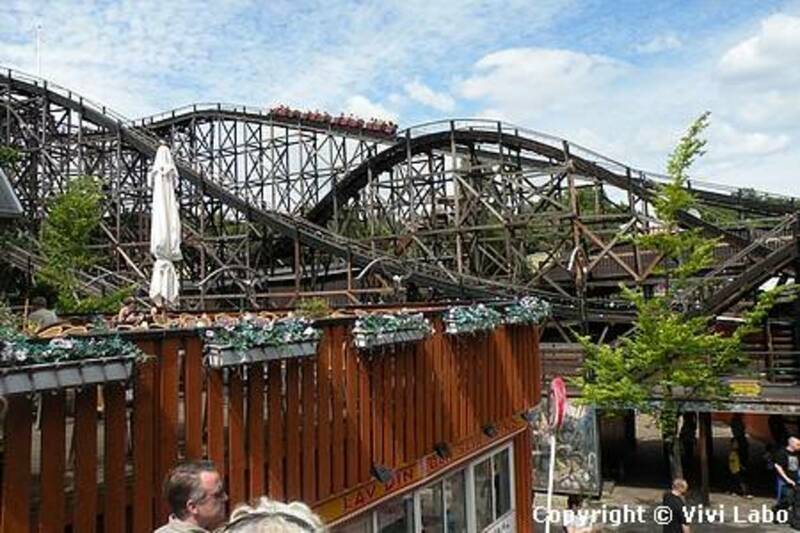 This fun park is open everyday in the summer from 11 am to 10 pm and midnight. 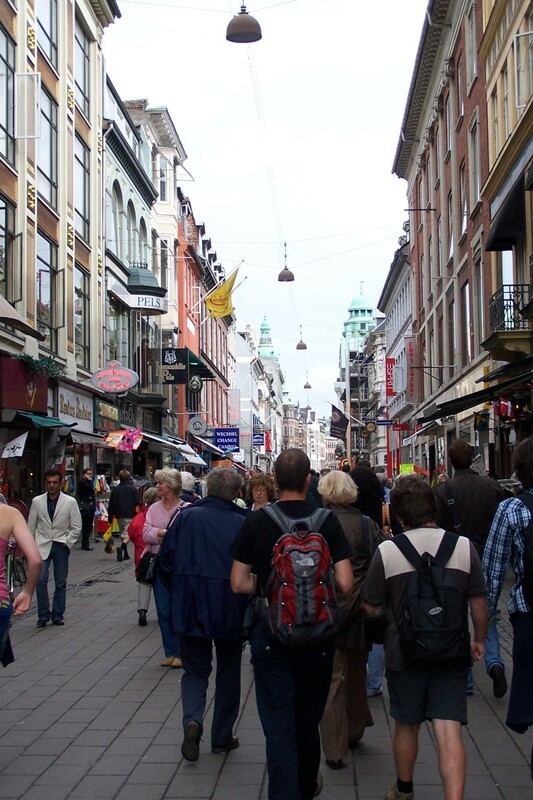 The Stroget in Copenhagen is one of Europe's longest shopping streets and one of Denamrk's top sights. An insider-tip fro all shoppers: cost consious travelers and bargain- hunters should begin shopping at the Radhuspladsen end of the Stroget. There you will find lower prices, simpler foods, clothing chains like H&M, and other reasonable offers in general. 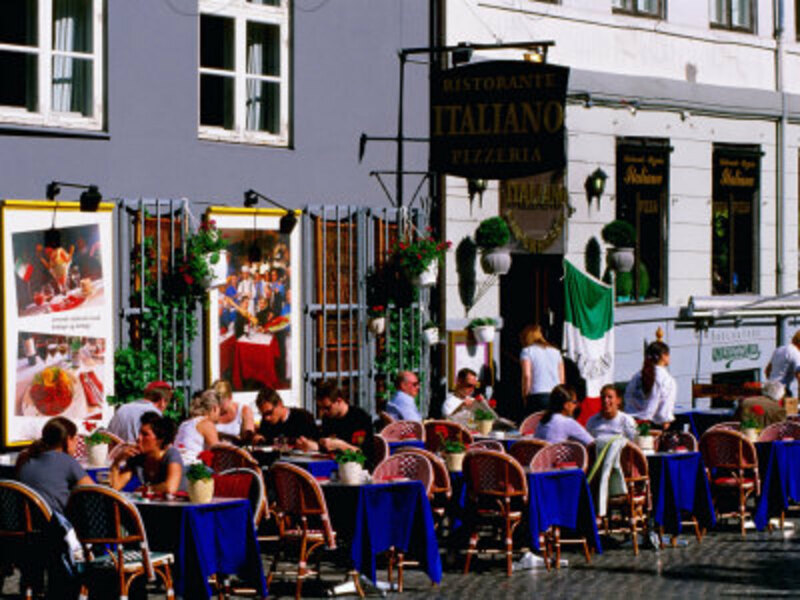 an outdoor eating restaurant in Stroget, Denmark. 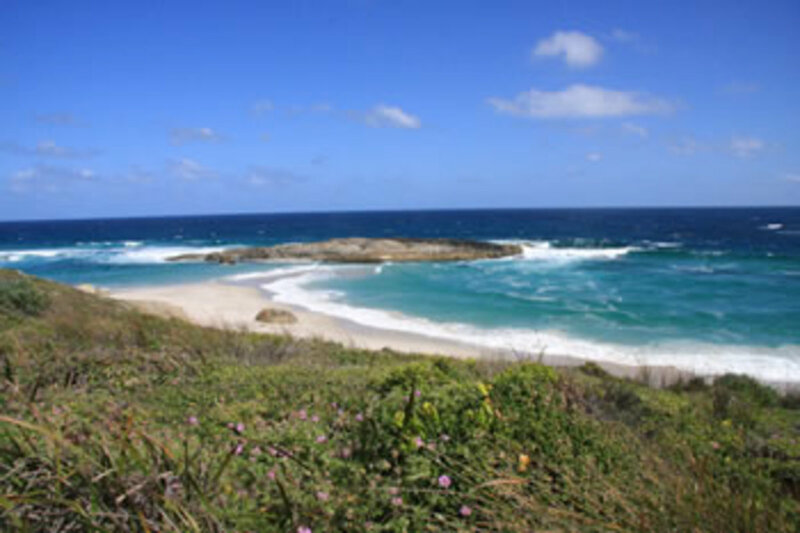 What Are Some of the Best Places to Visit on the English Coast? 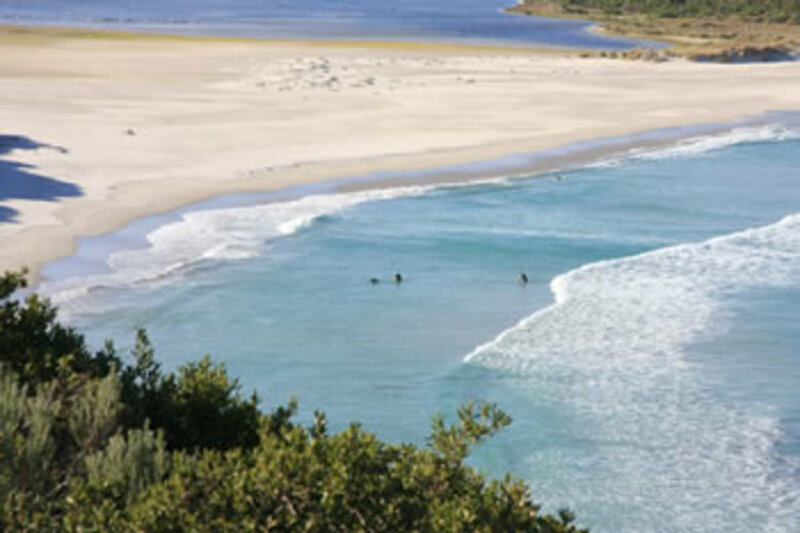 Even though you now know that many of the beaches shown are located in Australia instead of Denmark, you've decided to keep them on. This piece is laughable. 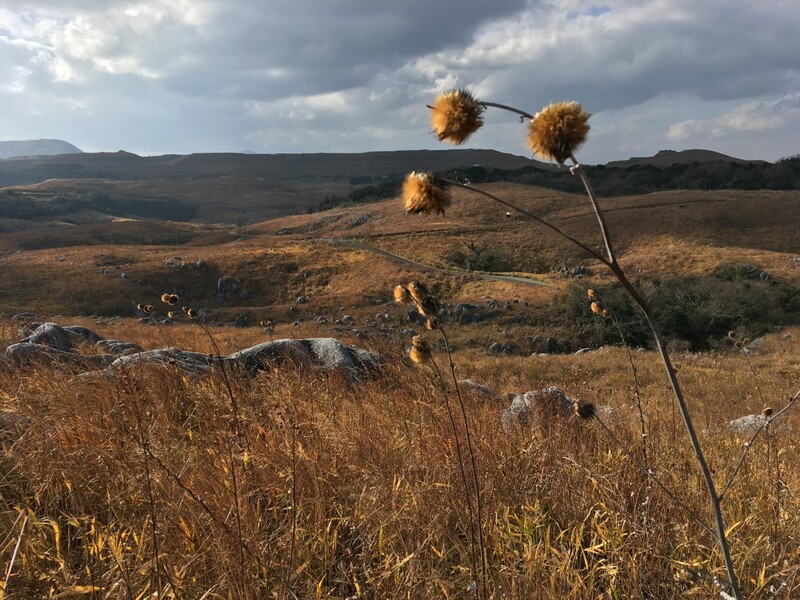 Please write about places you've actually visited. We are planning a trip to Denmark. 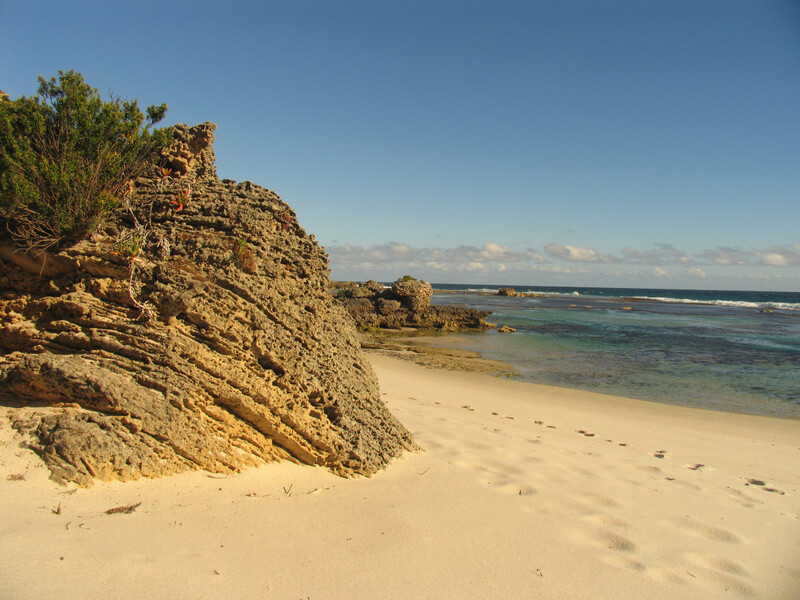 I was looking at your info regarding the beaches. I thought they looked amazing! I did a little more research - because I really wanted to see the areas you mentioned. 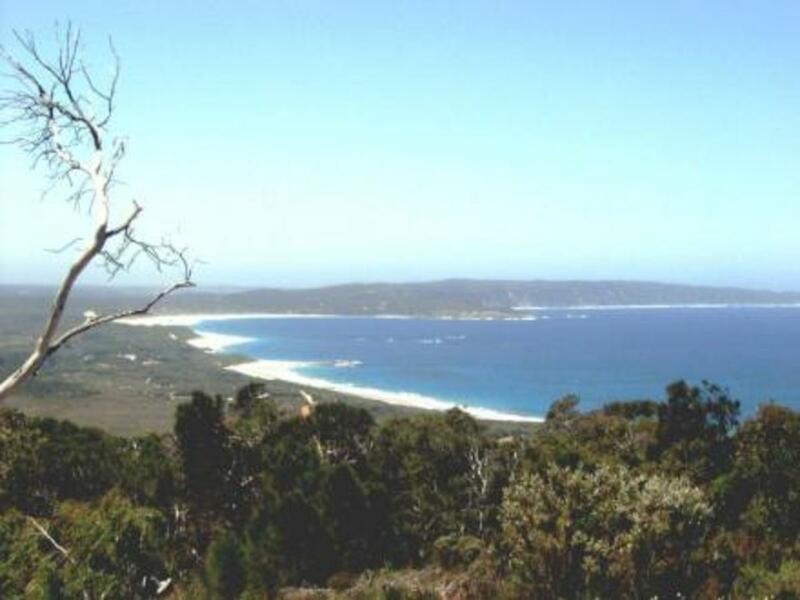 Unfortunately, they are in William Bay National Park in Denmark WA, Australia. You might want to update this with more accurate information. 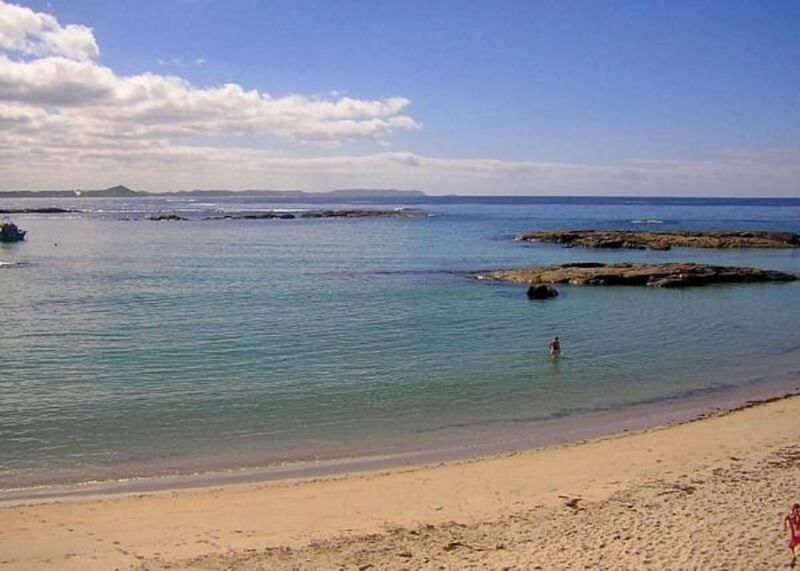 Please remove these beach photos from Australia! Are you kidding me?! Pongogirl...thanks for a great article. This is really great. You really should revise the beaches though. They are nearly all in Denmark, Australia. Thanks! you're welcome:) Hope your project goes well. Thank you soo much! Im doing a project on Denmark and I needed ur help! You're welcome @georgescifo, I am glad that you enjoyed reading it. I personally think Denmark is a wonderful European country. I haven't visited or seen too much about the tourist attractions in Denmark, but this hub has given me an opportunity to create an awareness about the amazing tourism potential of this country. Will surely try to search for more travel information related to Denmark and thanks a lot for sharing this hub and opening my eyes. 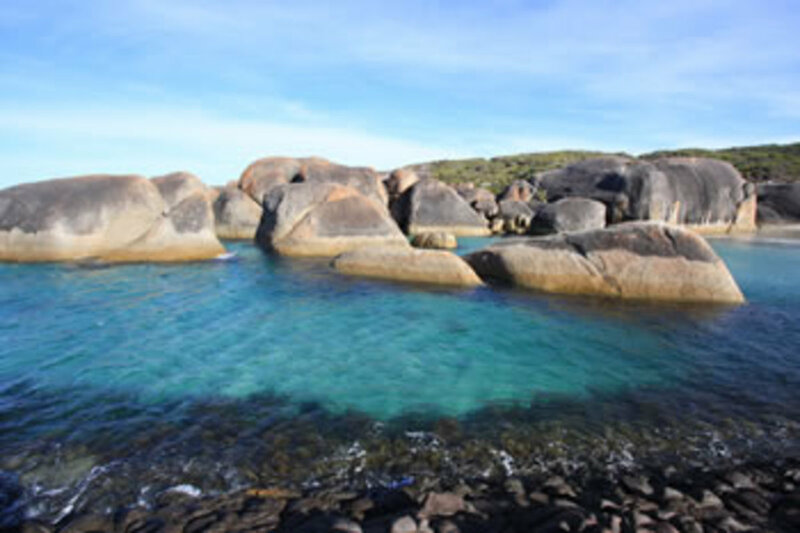 Green Pool Beach is in Australia. i say only its amasing I like it very much . 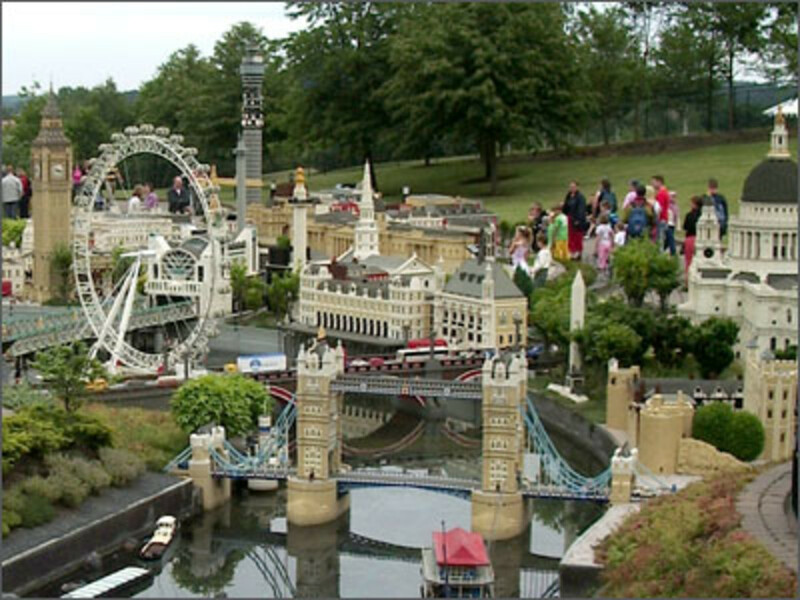 I Want To Go There Someday....Lego Land Looks So Much FUN.! Thanks for this! Denmark looks wonderful and a must visit. Added to bucket list! 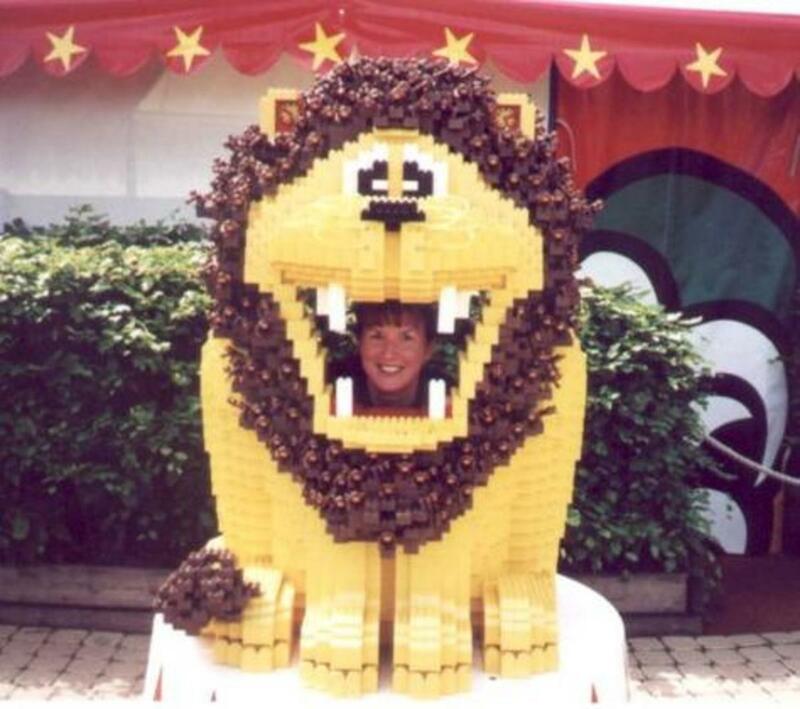 I am a big LEGO fan. 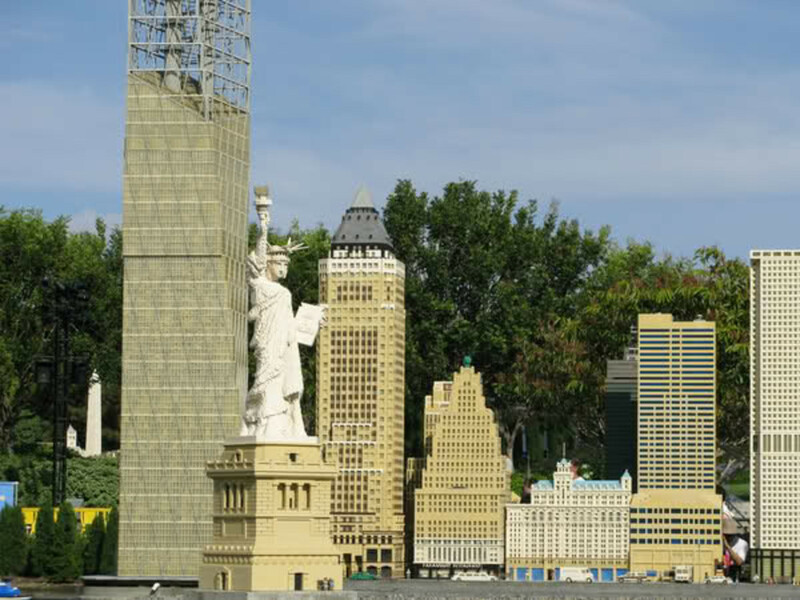 LEGO land is definitely on my wishlist. 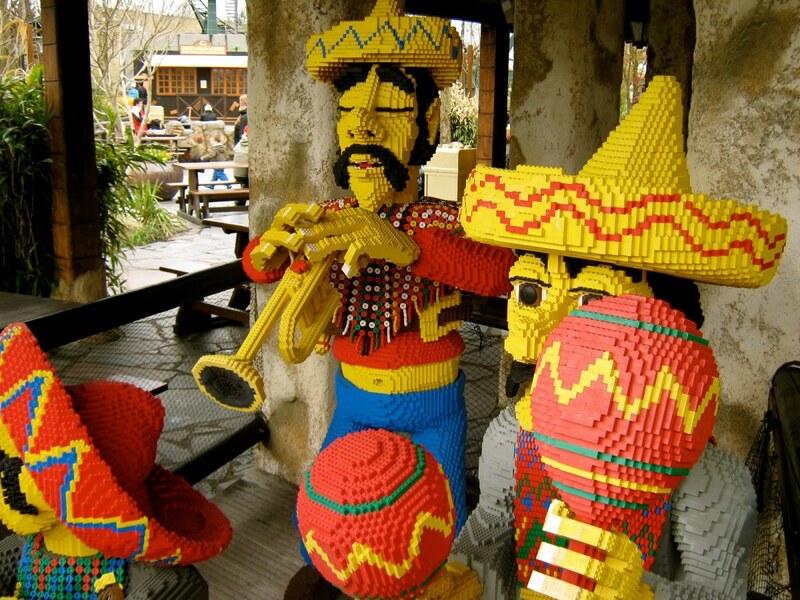 Thank you Pongogirl, for the beautiful LEGOland pictures. Cheers! Well, I live in Denmark and I think you got the beaches wrong! 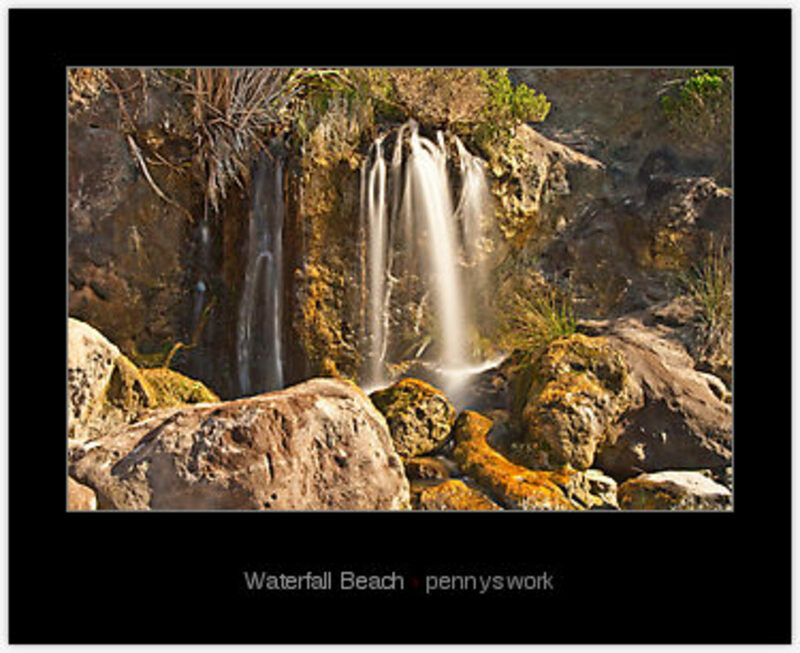 :D We don't have beaches like that. But thanks for a great hub besides! Ha ha. 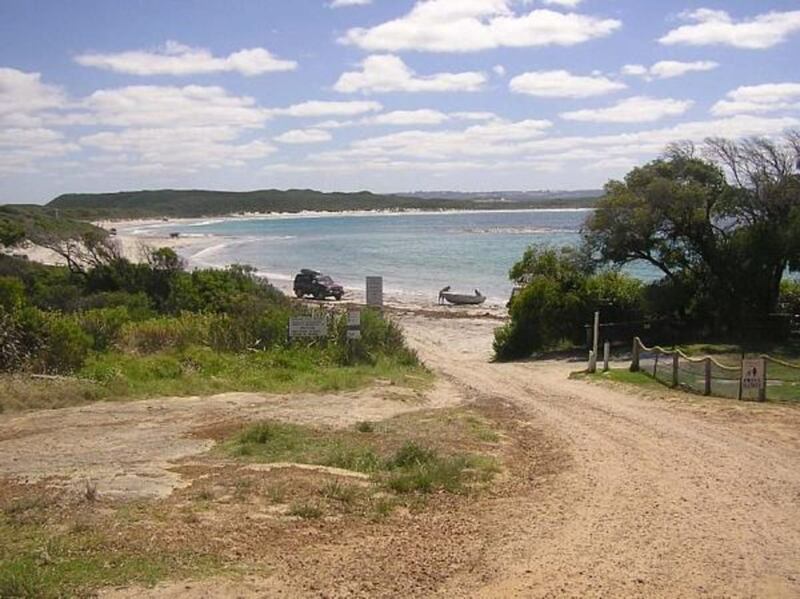 I live in Western Australia and those beaches are the ones near our place in the town of Denmark. Have you even been? ... 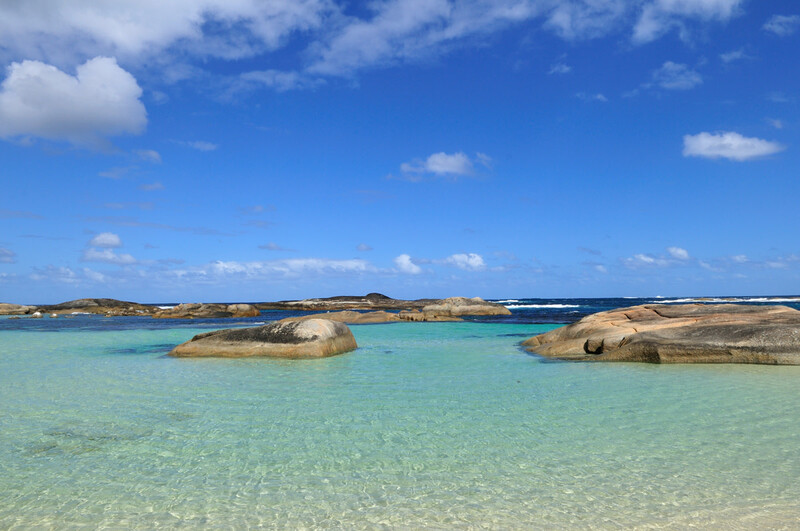 Some of these beaches are located in Australia. 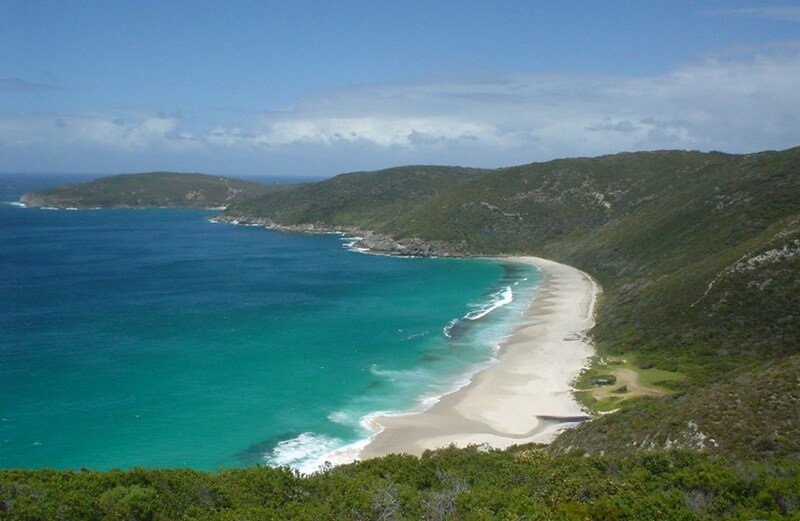 Denmark, AUSTRALIA. Quite a distance from the country of Denmark. I think someone skimped on the research, this was wildly confusing for me. Great job! 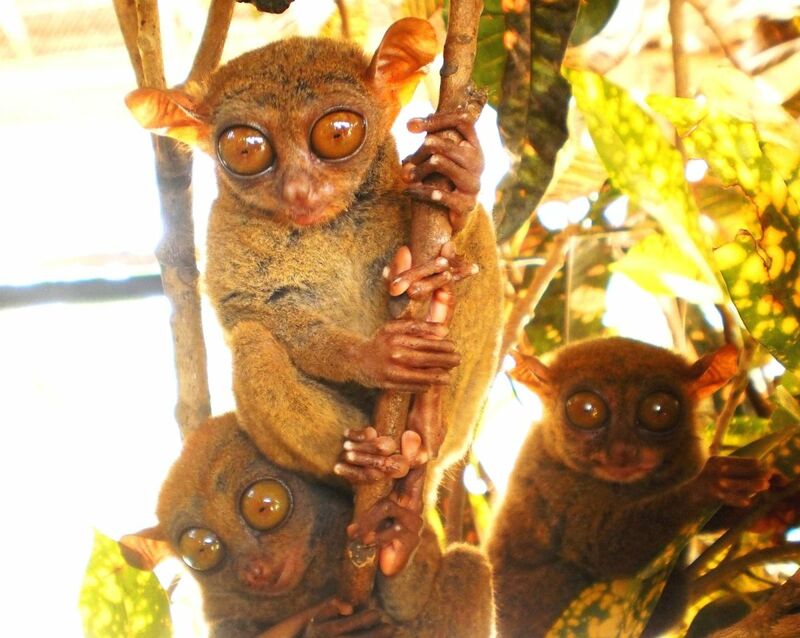 Wonderful pics! Many years ago I was in Copenhagen visiting my aunt. 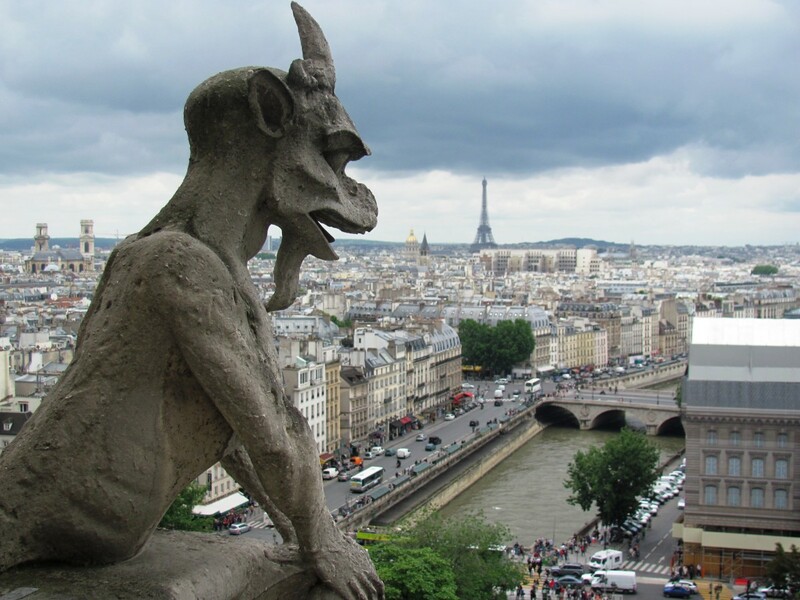 Oh God, how I loved that city. The Little Mermaid, walks along the water, the fountains and the Tivoli. 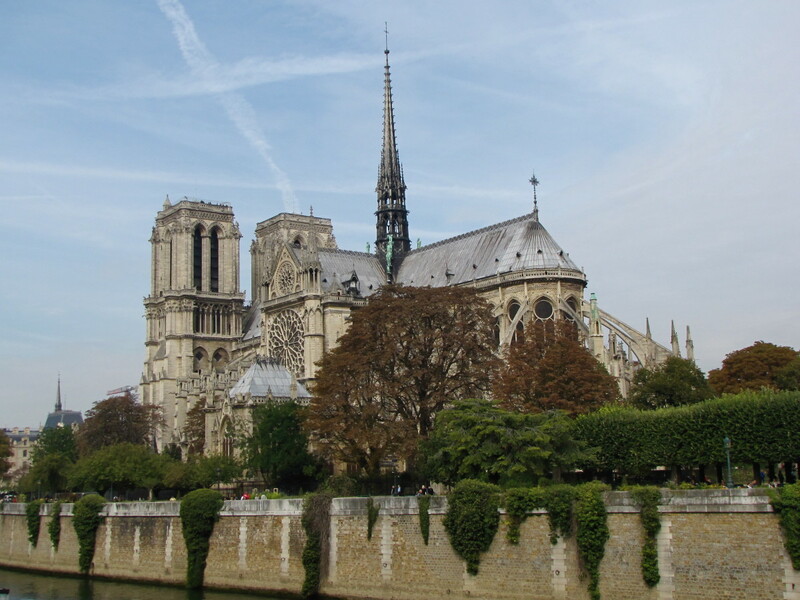 Loved to go back someday but it is very expensive there.